I love collecting specialty Crayola Crayons. These are the Colour Bursts and Color Mix-Up's from 1997. They were called Colour Bursts in Canada and Color Mix-Up's in the US. There are three colors in every crayon. 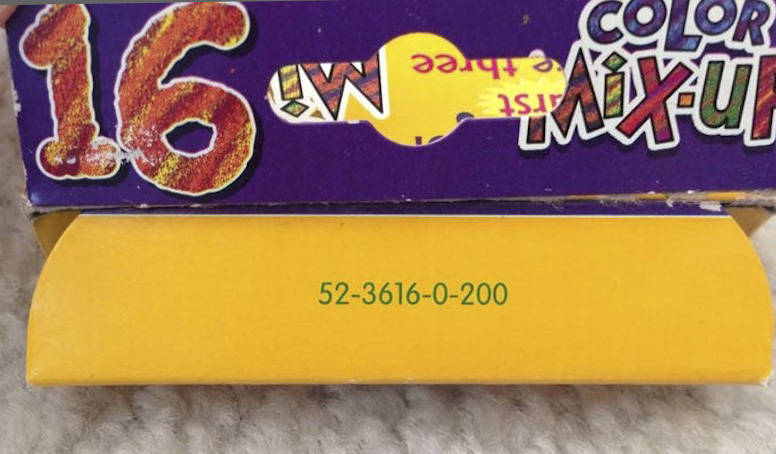 I am looking on finding the patent information for these crayons. The Color Mix-Up box and picture is from Stacy Hodges collection. I love the unique names of the crayons on the wrappers such as: shrimp and cocktail, baby's blanket. Both of these are very rare.